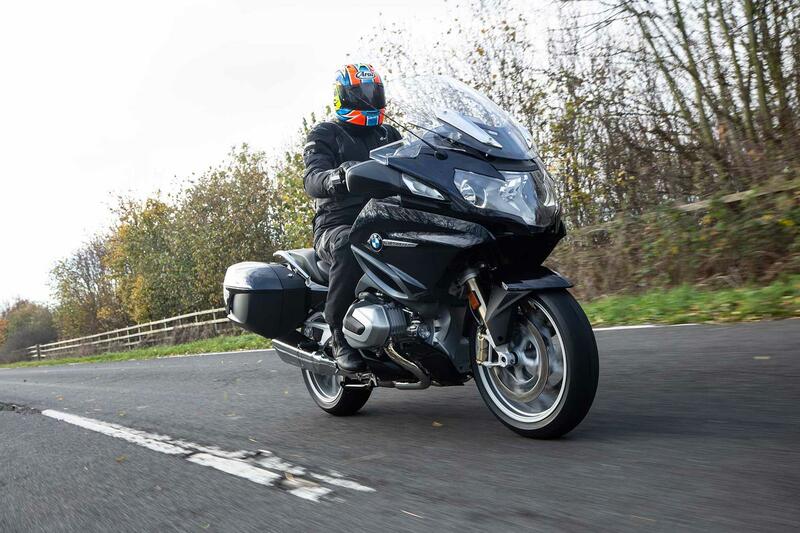 It was always going to be tricky to improve on such a successful machine, but BMW have managed it, thanks to its tasty new motor. Now there's more of everything: lolloping lowdown power, a chunkier midrange and the kind of savage top end kick that leaves you asking whether this really is a humble boxer twin. The motor's extra sparkle and the firmer electronically suspended ride gives a sportier overall feel, but still manages to be ultra refined, comfortable, roomy, convenient and characterful. It's this enviable mix of peppiness-meets-luxury that's going to make the mighty RT harder to beat than ever. Changes may only be restricted to its engine and a few details, but that's fine by us because BMW's new tourer does what RTs do best: just about everything, especially if you’ve spec'd it to the moon, which you’re advised to do. Easy controls, perfect fuelling and fingertip-light steering make it a joy to ride through town. 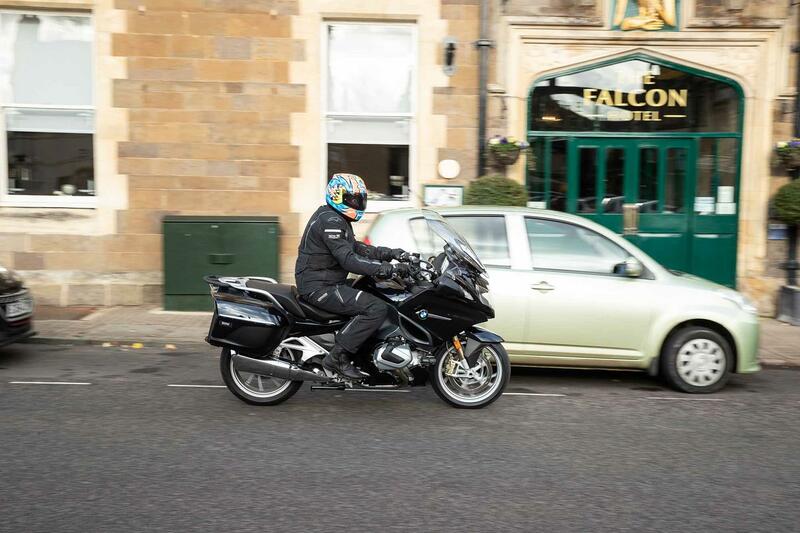 Cruise control, an electric screen, superb wind protection and a lack of engine vibes let you waft, untroubled for hundreds of miles and you won't ever get cold thanks to five stage heated grips and seat, which you could cook your dinner on. 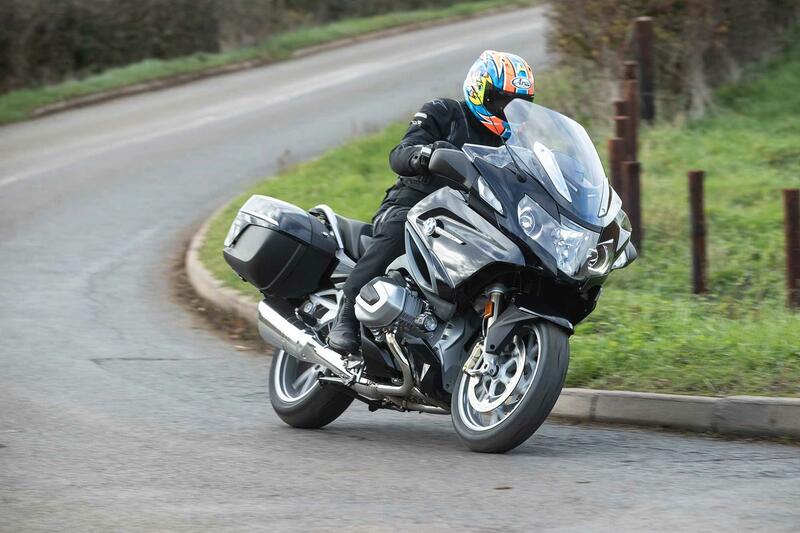 And when you want to blast along your favourite stretches the RT will do that in style, wet or dry, thanks to its fantastic brakes, grippy Metzeler Z8 Roadtec tyres, stable chassis and grunt from the best boxer engine ever made. 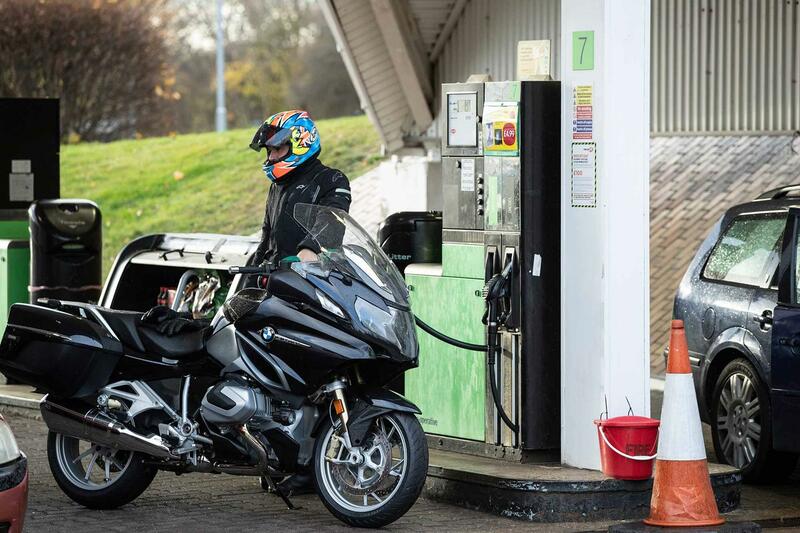 It’s wide enough to make you think twice about breath-in filtering, so spacious you’ll forever have a happy pillion and full of fuel weighs a hefty 279kg, but the R1250RT somehow has the steering, agility and short wheelbase-feel of a sportsbike. It’s always been this way, which is why the RT is exemplary on the mountain roads of Europe as it is trudging along the motorways to get there. 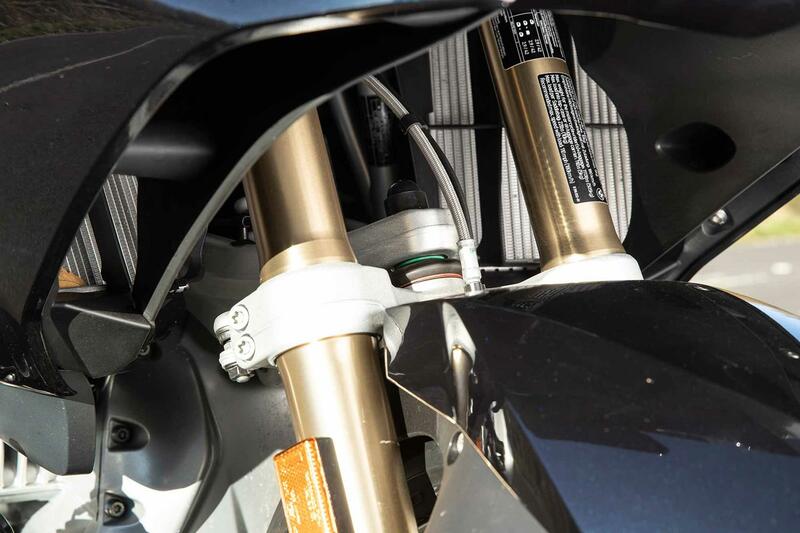 Optional electronic suspension with constantly adjusting damping and rear ‘self-levelling’ preload, is sharper and more accurate than ever in its Dynamic riding mode. 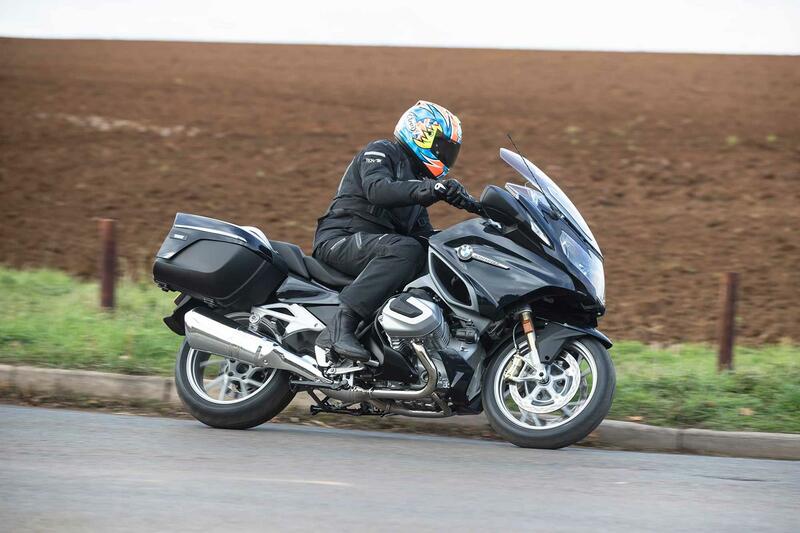 It still delivers a smooth ride, especially in Rain and Road modes (although not as well damped), but the ride quality isn’t the last word in shag pile plushness, like a multi-cylinder tourer, American cruiser or BM’s own K1600. A 'hill start' system comes as standard, which is far handier than you'd imagine, especially on a big bike riding through stop/start towns and cities. Holding the brake on sloped junctions is hardly taxing, but with hill start doing it for you (clamping the rear brake until you pull away) it’s just one small extra thing that makes the RT nicer to live with. It works by pulling firmly on the front brake lever, or if you’ve ticked the options box it’s gyro controlled and does it automatically on a five degree or steeper slope. Optional up/down quickshifter (also available on the previous RT) works well with the engine under high load, but with gear ratios widely spaced it’s stiffer at low speed and kinder on the box if you use the clutch. Remember the old days when BMW flat twin engines were quirky, but bulletproof lumps, designed for pushing along policemen, beards, pipes and slippers? Things couldn't be more different now with the RT’s evolving into graceful sophistication. Sure, the Boxer lump still isn't as refined as a conventionally laid-out three, four or six-cylinder motor and there's a fair bit of vibration on a closed throttle above 4000rpm, but it growls and bellows like a race bike one minute and whispers along the next, depending on your mood. 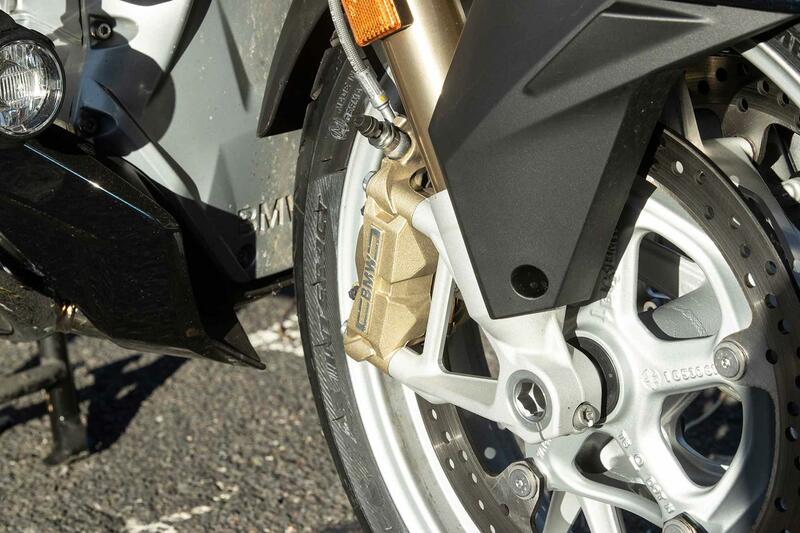 A wide, beefy spread of power lets you pull cleanly from as little as 2000rpm in top (35-40mph), cruise on the motorway at 3500rpm and give sportsbikes the hurry-up when you keep the revs on the boil. Like the 2019 R1250GS, GS Adventure and R the R1250RT gets an 84cc capacity hike and variable valve timing 'Shift Cam' system. There's 14ftlb more torque, 250rpm lower down in the revs and power is up from 123bhp to 134bhp. 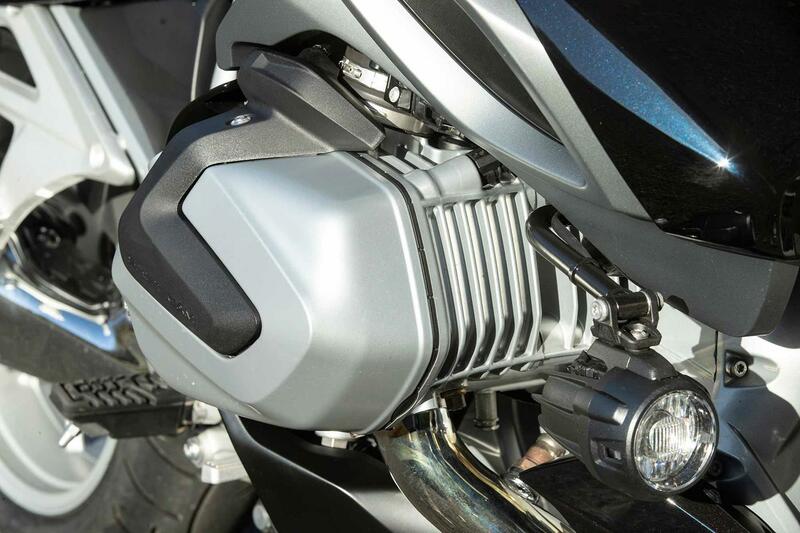 Each cylinder’s inlet cam features partial and high lift cam lobes and slides across the top of the engine (in just five milliseconds and undetectable from the rider) delivering mild or hairy cam timing, depending on your throttle input. Inlet valves are staggered when they're open, creating swirl in the combustion chamber for a better burn. 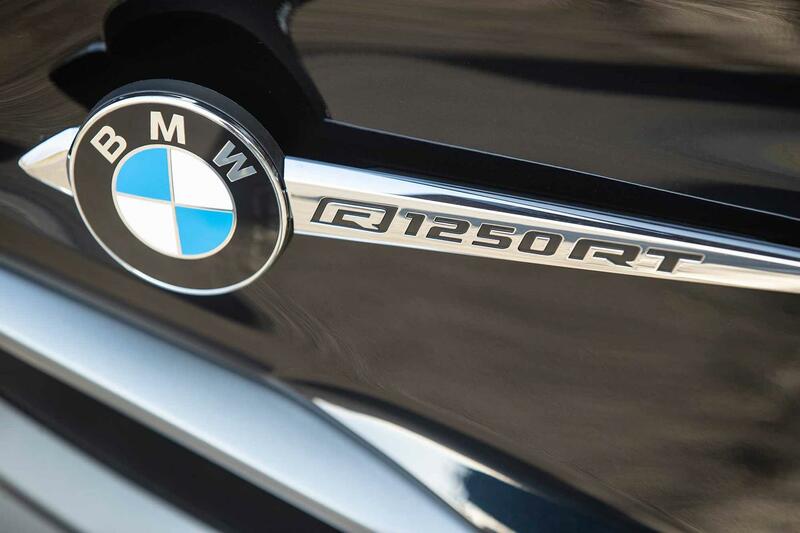 BMW claims improved fuel economy - we managed 47mpg (191 miles before the reserve light) and a theoretical range of 258 miles from the 25-litre tank. Although the previous model had a recall when it was first launched and BMW servicing can be pricey, there are no major reports of problems with the RT. Only time will tell how durable the ShiftCam system proves to be. You get a lot of fun touring bike for your money, even in standard trim, but tick the options boxes and you'll get so much more from your RT, you'll never want to stop riding it. It'll add a few grand to the price, but will make your Beemer easier to sell on. 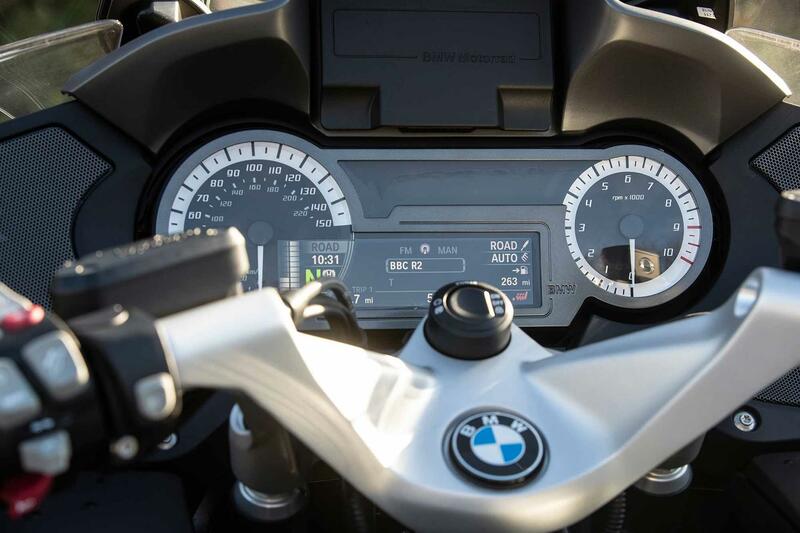 Heated grips, a multi function colour display, Rain/Road riding modes, electric screen, Hill Start Control, ABS pro are all standard on the R1250RT base model. The SE has electronic suspension, heated seat, cruise control heated seat and additional 12v power socket. The top spec LE adds an up/down shifter, chrome exhaust, central locking, tyre pressure display and alarm. 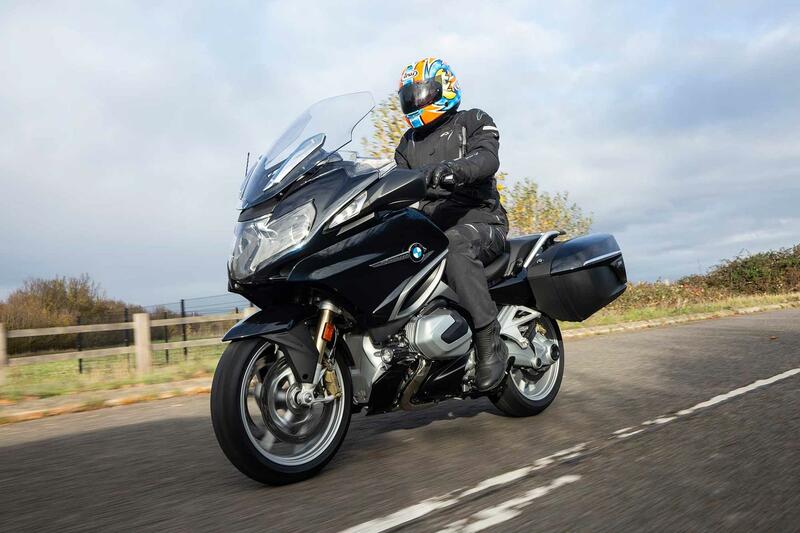 2010: Update: HP2 Sport-derived new twin cam engine, fairing and clocks. 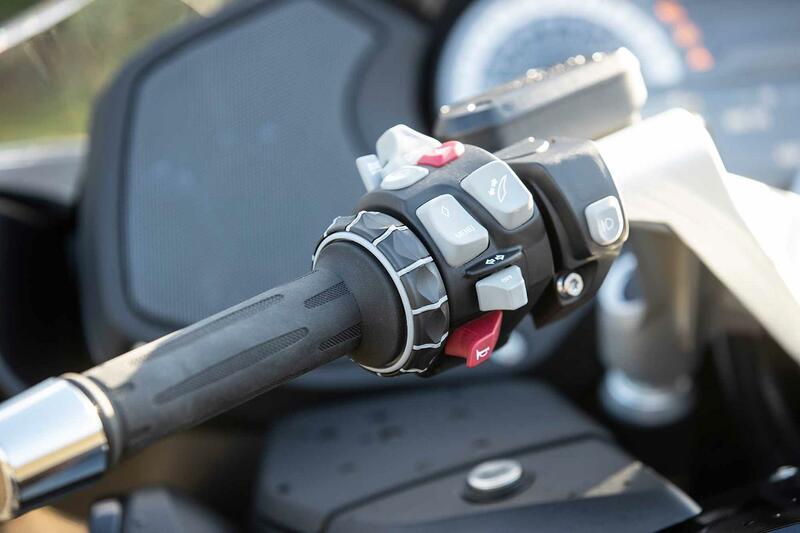 2014: RT gets partially water-cooled motor, smoother throttle, fairing and ergonomic tweaks. Traction control, two riding mods, electric screen and ABS are standard.  There are none to date. 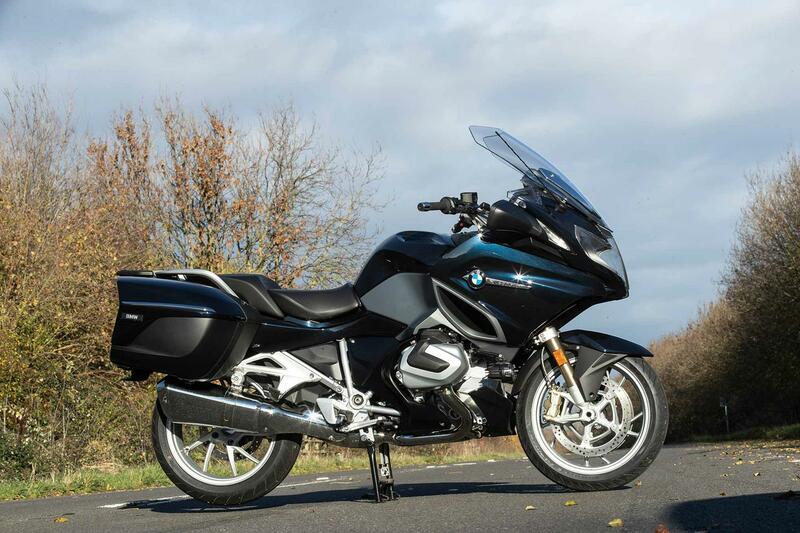 No owners have yet reviewed the BMW R1250RT (2019-on).